MooseFS (GPLv2) is an open-source version of MooseFS targeting open-source community. It is a natural continuation of previous MooseFS editions. MooseFS is a key system for Gemius / Core Technology in-house operations. We currently store over 5.5 PB of data, processing more than 200 000 events per second, every second, 24/7. The system is so crucial, that we do not allow anyone outside of our own development team to make changes in the structure of the code used by us. Therefore our philosophy is to give this superb tool to everyone who would like to use it. We have never aimed to create a developers community, although your ideas, bug reports and wishes are carefully taken into account by our developers. We look forward to your comments and patches, but it does not necessarily mean we will include those in the main source code. MooseFS Pro (Professional Edition) is a product that is targeting Enterprise class environments with features unavailable in the GPL version, that are crucial for high availability systems. 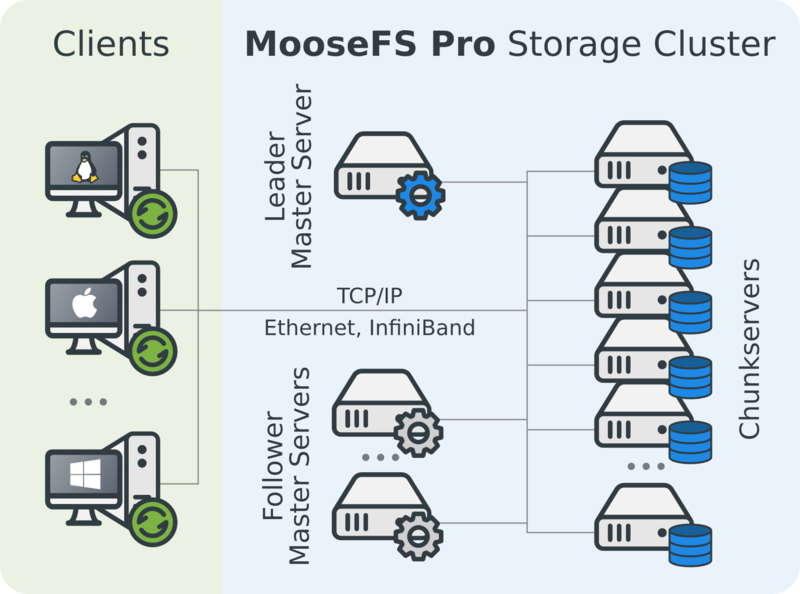 MooseFS Pro is a reliable, easily scalable storage platform for environments requiring stability, high availability, automatic backups and balancing. 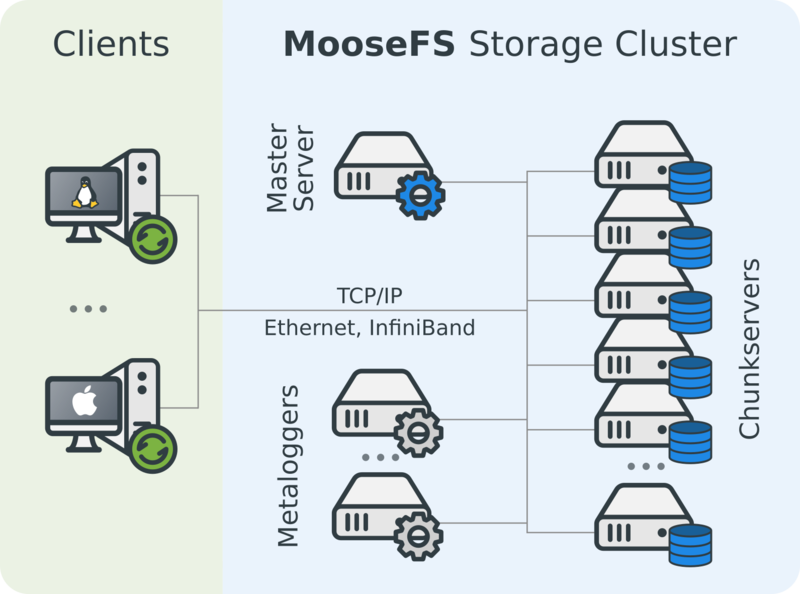 Our experience with 1.x MooseFS development allowed us to design a system which is at the same time cost-effective, flexible and easy to implement for medium, big and huge storage environments, without compromising the performance. Our Pro solutions include support with many available options: dedicated advisors, remote assistance, on-site assistance, pro active monitoring, dedicated software releases and much more. We strive to deliver a complete solution for every business in need of an efficient and reliable storage. Contact us to get support!